The leader of the Church in Ireland has sent a message of support to religious, urging them not to be disheartened by the ageing population of religious communities across the country. Speaking on the Feast of St Brigid in St Patrick’s Cathedral Armagh, Archbishop Eamon Martin prayed with the assembled consecrated women and men from fifteen female and nine male religious congregations that the Holy Spirit would “fall afresh on us” during the Year of Consecrated Life, “blowing where God wills through our parishes, convents, monasteries and religious houses”. Pointing out that today (Monday) is the Feast of the Presentation of our Lord, Archbishop Martin recalled that Pope Benedict described this as the “meeting point of the two testaments: Old and New”. “We have a young couple, Mary and Joseph, and the aged Simeon and Anna brought together in a joyful encounter with Jesus,” the Archbishop explained. Dr Martin then revealed that Sunday’s congregation was joined by members of the ‘Rise of the Roses’ team. “They are curious to know why someone, who was once their age, chose to give their whole lives to God,” the Archbishop explained. Taking his theme from Pope Francis, Archbishop Martin also prayed that the winds of the Holy Spirit would inspire consecrated women and men to ‘wake up the world’. 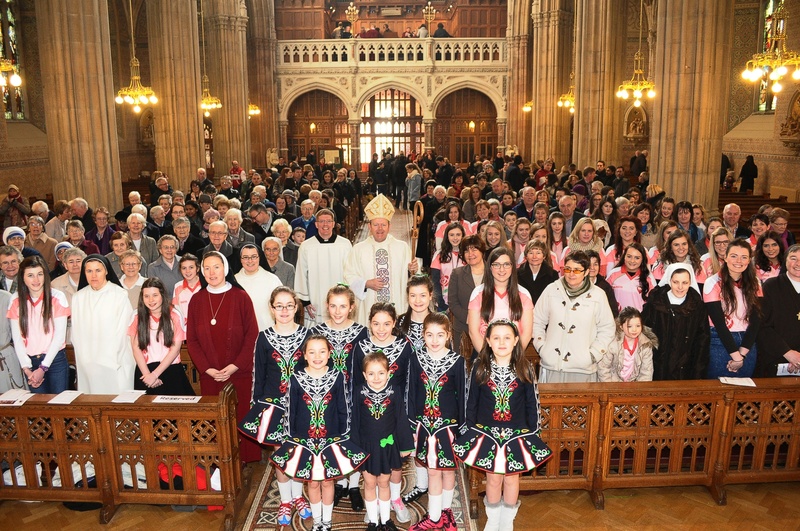 “Perhaps the Holy Spirit has new plans for consecrated life in Ireland,” he suggested and said the Church and religious orders must be “open to asking ourselves what are the charisms and apostolates that the Spirit desires for the renewal of faith in Ireland”. He underlined that if they are to ‘wake up the world’, there is much work to be done, but that they need not fear. “With God all things are possible”, he reminded them and added, “With joy and love in our hearts we will find ways of singing a new song to the Lord and “bringing the newness of the Gospel” to all our people. 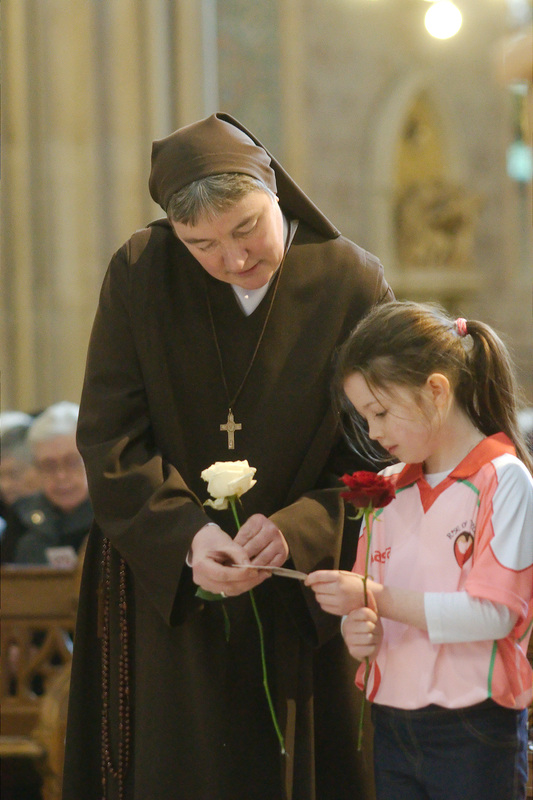 Recalling that 1 February has long been associated with St Brigid – Ireland’s most famous consecrated woman, Archbishop Martin said the Saint was renowned for her hospitality and her charity towards the poor. Stating that her communities lived in a communion of love with Christ and with one another, he said Pope Francis challenges consecrated women and men to be “experts in communion: – to offer a concrete model of community which, by acknowledging the dignity of each person and sharing our respective gifts, makes it possible to live as brothers and sisters”. Elsewhere in his homily, the Primate of All Ireland said that in thanking God for the prayer and witness of nuns, brothers and priests among us, the Church also give thanks for their families. He prayed that this year God would inspire more sons and daughters to answer the call to serve Him in the consecrated life and the priesthood. Separately, hundreds gathered with Bishop Denis Nulty to celebrate the witness of consecrated religious life in Kildare & Leighlin diocese and to express gratitude for the past; to live the present; and embrace the future. In his homily, Bishop Nulty said it is understandable with an ageing profile in so many of religious communities that many might say what is there left to contribute, ‘we have made some little contribution, it’s over to others to carry the Nano Nagle lantern; to keep alive the flame of St Brigid and to revisit the writings of Pierre Noailles’. Referring to the Letter to the Ephesians, the bishop reminded the congregation “glory be to him whose power, working in us, can do infinitely more than we can ask or imagine ”. Recalling his own ordination as bishop of Kildare and Leighlin in the same cathedral, he recalled his statement that “diocesan priesthood is a call, not a career; a way of life, not a job; an identity, not just a role”. “Your lives, your witness, your example puts flesh on those words, because living the consecrated life is never a career, a job, a role, but a call, a way of life, an identity,” he told the assembled religious men and women. He paid tribute to their individual and collective contribution to Irish society where education, healthcare and the social services have been built on the shoulders of you, the religious of our diocese. “Today we say thanks for this huge contribution to society. Perhaps the newer needs are to be found in the ministry of food parcels to those in need; in the management of our education and healthcare system; in the provision of adult education in the form of literacy and numeracy to those who slipped out of school too early in life,” he said. 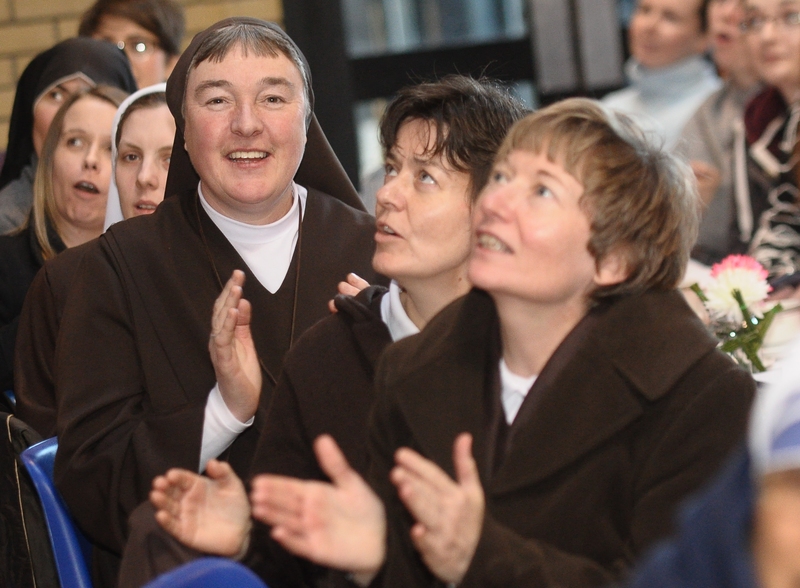 Bishop Nulty then suggested that all religious congregations and societies in Kildare & Leighlin consider during this Year of Consecrated Life having an ‘Open House’ perhaps during the late Spring/early Summer in an effort to allow society gain a deeper understanding of your deep charism, your solid vocation and your very fulfilled life.